Learn your way around an acoustic guitar. On this course, you will learn about the structure and parts, basic maintenance, tuning, techniques in playing and the chords and keys involved in playing music. You will be required to bring your own acoustic guitar. Learn your way around an acoustic guitar. 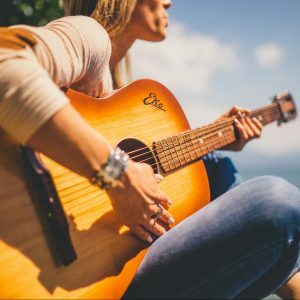 On this course, you will learn and further your skills and knowledge around the structure and parts, basic maintenance, tuning, techniques in playing and the chords and keys involved in playing music. You will be required to bring your own acoustic guitar. Develop your skills in playing an acoustic guitar. Further your understanding on tuning, notes, chords and keys involved in playing music and apply this to popular songs and music. You will be required to bring your own acoustic guitar. This course is suitable to everyone with a basic knowledge of playing a guitar. Develop further skills, coordination and balance as well as improving your fitness with modern line and group dancing. You will learn more dances, variety of speeds and to all types of music and worldwide ‘Balli di Gruppo’. 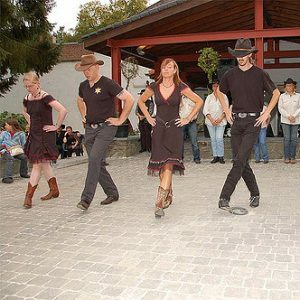 Develop your skills in a wide range of line dancing moves and steps to different music, both current music and classic dances. Singles are welcome.